As we begin a yearlong celebration of our 10th anniversary, here are some facts that you may be interested to know about the Alvin Sherman Library. 1. The joint-use agreement between the Broward County Board of County Commissioners and Nova Southeastern University is one of the only agreements in the United States allowing the public to access the resources of a private university library. 2. 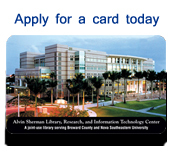 Since the opening of our library, more than 74,000 individuals have registered for an Alvin Sherman Library card. 3. 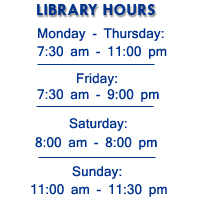 While we are not a branch of the Broward County Library system, we share borrowing and return policies. 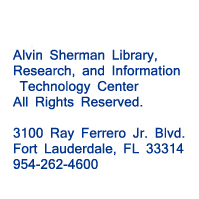 For example, you can check out a book at the Alvin Sherman Library and return it to any Broward County Library. 4. The Alvin Sherman Library houses 487 computers with Internet access. Need some fine tuning on your computer skills? Check out our free computer classes. 6. The Alvin Sherman Library hosts visitors from 188 countries and territories. 7. We are open 100 hours a week including Sundays. 8. Our librarians are trained professionals with a Masters in Library Science (MLS). 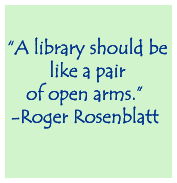 "Ask a Librarian" is one of our most frequently used services. 9. The public can access more than 300 electronic databases. 10. Each month, the library is planning something special to continue the celebration of our 10th anniversary. If you'd like to keep connected throughout the year, come in and pick up a special edition 10th anniversary calendar. The Emma Lazarus Voice of Liberty, Voice of Conscience traveling exhibition showcases the life of the woman who wrote the words in the poem "The New Colossus": "Give me your tired, your poor, Your huddled masses yearning to breathe free." Explore our library guide for more information. For a quick search of online literature databases click here. 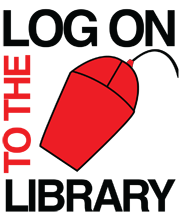 Jan.11 - Policemen Are Community Helpers! Learn how to encourage the development of the six skills your child needs to be ready to read. Renowned professional musicians will perform famous pieces of classical music followed by a petting zoo of instruments! This program is made possible by a generous gift from the Charles P. Ferro Foundation. Get a jump start on your Black History Month research projects! World Book Online representative, Erik Farley, will show you how to prepare a better school report by using the Library's Homework Helper electronic databases. Come prepared to learn the secrets of academic success! Designed for the absolute beginner, learn how to use the mouse and keyboard, work with windows and establish an e-mail account. Register online or call 954-262-5477. Learn how to create a free website using Google Sites. Prerequisites: Google account and competence in using computer keyboard and mouse. Register online or call 954-262-5477. For Clark Spencer, sportswriter at The Miami Herald, it's not whether you win or lose, it's how you survive the game! From spring training to the World Series, follow the man who has followed the Florida Marlins since 1999. January 12 Who Was Emma Lazarus? 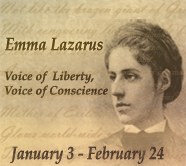 Learn about the life and times of Emma Lazarus, poet, essayist, reformer and Zionist. Professor Tim Dixon of Farquhar College, NSU, will give a talk on the history of the Statue of Liberty. 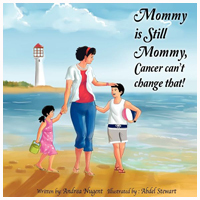 Join us as Author Andrea Nugent talks about her new children's book, Mommy is Still Mommy: Cancer Can't Change That. Andrea Nugent is a single mother, and both an epilepsy and breast cancer survivor. An alumna of Nova Southeastern University, Andrea received her Master's in Business Administration. will be presented by Dawn Hanna, a Certified Professional Dog Trainer. The Circle of Friends hosts a luncheon and book signing for Sally Bedell Smith, author of Elizabeth the Queen: The Life of a Modern Monarch at the Museum of Art Fort Lauderdale. The cost is $35 for Circle of Friends members and non-members. 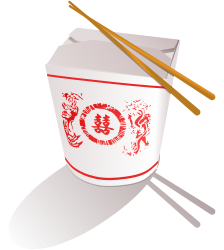 Chef Bil welcomes the Chinese New Year with dishes to whet your palate. Chef Mitchell is the first promoted Apron's Resident Chef of Publix and teaches regularly at the Plantation Publix Apron's Cooking School. Register online or call 954-262-5477. NSU Associate Lecturer Kate Ann Heidelbach discusses the work of poet Emma Lazarus including her famous sonnet 'The New Colossus', which is inscribed on the Statue of Liberty. Register online or call 954-262-5477. Genealogy is one of America's fastest growing hobbies. Families, individuals, the young and the old, can easily participate in constructing a family history. This class will provide basic information on the genealogical research materials available at the Alvin Sherman Library, as well as resources available online and in the immediate community. A presentation by Jeffrey Miller sponsored by the Jewish Genealogical Society of Broward County.